Check Point Software Technologies recently brought its latest CloudGuard Dome9 solution to the Philippines, which is designed to deliver a cloud service that allows safer and more manageable cloud deployments. The CloudGuard Dome9 is the newest addition to CheckPoint’s comprehensive cloud security portfolio. It is engineered to prevent the latest Gen V, multi-vector cyberattacks targeting enterprise cloud services. As a comprehensive platform for public cloud security and compliance orchestration, Check Point explained that the CloudGuard Dome9 enables organizations to visualize and assess their security posture, detect misconfigurations, model and actively enforce security best practices, and protect against identity theft and data loss in the cloud. “Fifth generation cyber-attacks are increasingly target enterprise cloud environments, and cyber security solution must effectively protect this vector. The addition of CloudGuard Dome9 to Check Point’s total protection architecture, will enhance our ability to deliver the benefits of Cloud with the critical security that must extend from the networks, endpoints and data centres to the Cloud and Mobile enterprise-wide,” Zohar Alon, head of cloud product line, Check Point Software Technologies, addressed. “As more and more organizations in Philippines embark on a digital transformation journey, the exposure to attack vectors increases as well. 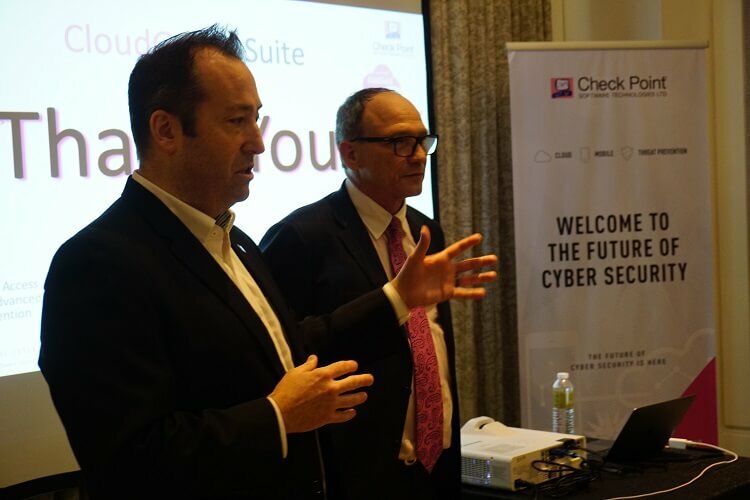 Protecting applications and data on the cloud, even with a multi-cloud environment, should not be complex and CISOs can have full visibility and control” Evan Dumas, regional director, South East Asia, Check Point Software Technologies, noted. “We are confident that Check Point’s cloud security solutions, with its unified approach to managing complex and multi-vendor cloud implementations, is the panacea to a secure infrastructure for organizations." The CloudGuard Dome9 offers customers powerful security visibility, misconfiguration detection, active enforcement of security best practices, control across multi-cloud environments, and protection against identity theft and data loss in public clouds. Moreover, Check Point’s Dome9 delivers security capabilities across Amazon Web Services, Microsoft Azure, and Google Cloud Platform (GCP).